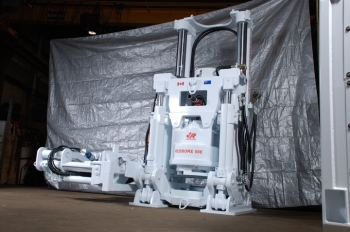 The Redbore 50 has been designed as a mid-capacity drill whose role is to replace much larger equipment. 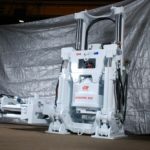 The Redbore 50 has the same footprint as the Redbore 40 and requires only slightly more back height. 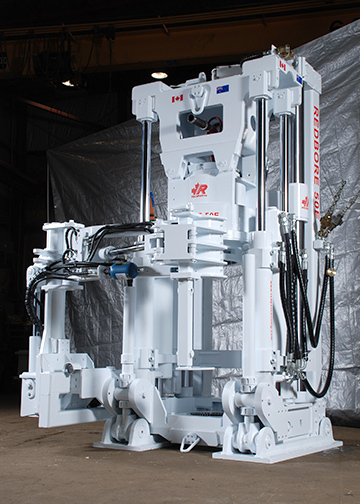 The Redbore 50, electric or hydraulic version, can be configured to downream 28 1/2″ (724 mm) diameter holes. 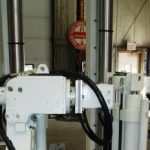 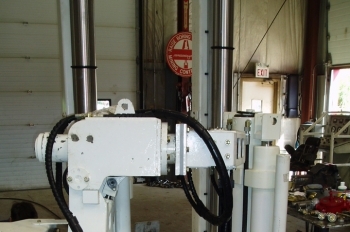 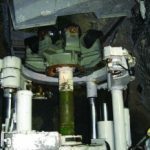 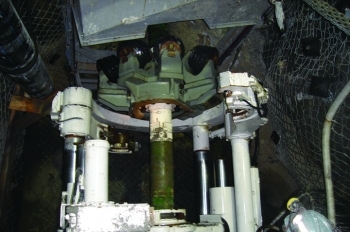 Nominal capacities range from 84″ (2.13 m) diameters with lengths of raises up to 600’ (183 m).